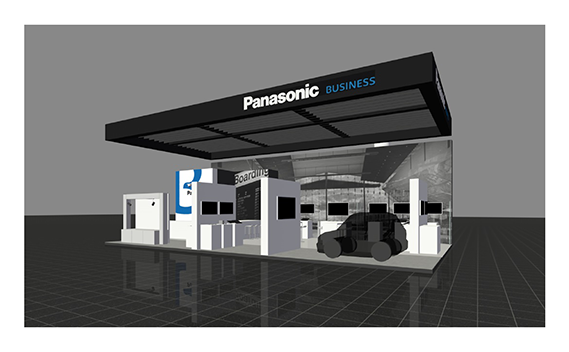 Engage over 100 customers simultaneously as they travel with one-to-one information from display panels and LED lighting to their smartphone, with Panasonic Link Ray. Double the effective size of your store front and create spectacular customer spectacles to pull in shoppers using our transparent screen solution. Improve retail efficiency using Panasonic Toughpad terminals that allow your staff to engage customers in store, access product details and accept payment, using one device. Panasonic CARES M2M remote monitoring works over 3G and 4G data networks to ensure your Panasonic projectors are always operational. Stream a single video to one or many devices, all with different bandwidths and screen resolutions, with our multi-video streaming that allows the right material to be seen by the right people, quickly. Connect your vehicle to the internet, road infrastructure and car manufacturer's service centre with Ficosa. Panasonic Toughpad ruggedised tablet computers allow vehicle inspectors to access their application in any conditions, enhancing productivity and customer experience. Panasonic Media Track allows organisations to track and optimise the deployment of mobile assets such as baggage containers, trolleys and wagons. The Panasonic Green Tower is an autonomous wireless network base station that can operate off or on grid (or a combination), using solar and wind renewable energy combined with lithium-ion batteries, allied to intelligent software. Protect public spaces, visitors and staff by automatically identifying suspicious objects or specific people using Panasonic’s intelligent detection software and security cameras. Use CCTV cameras and software to find items in minutes and gather visual evidence of how losses happen. Our Parcel Picking Director uses barcode technology to project key parcel information onto parcels themselves, making it viewable by workers at a distance. Panasonic's Mobile Management Suite arms drivers and pilots with one application on a rugged Panasonic Toughpad tablet that gives them checklists and visual evidence proving vehicle and aircraft compliance.